Park Road experienced firsthand the benefits of the reduced threshold applied to the 20% PDV Government incentive grant in late 2015. With the threshold lowered from $NZD1M down to $NZD500,000 an international feature film client who had sought out Park Road was encouraged to allocate more work to the facility thanks to the change. The film has since earned entry into the Cannes Film Festival. The PDV is a bespoke incentive tailored specifically for productions seeking out post production and visual effects solutions from NZ. It provides a blanket 20% rebate on all eligble New Zealand spend. Combined with a favourable exchange rate the incentive is a particularly attractive to those productions seeking a quality solution from facilities that have worked on films the size and scale of The Hobbit films. The PDV sits alongside New Zealand’s other incentive The New Zealand Screen Production Grant (NZSPG). Almost two years on since a significant review of this grant, the government-backed incentive is showing signs of fulfilling its objectives. 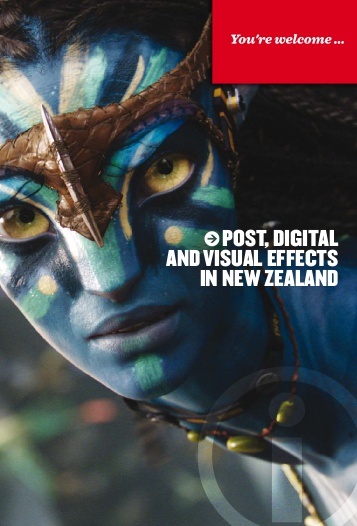 The NZSPG is designed to support the development of New Zealand’s screen industry, and combines two former incentive grants for international and domestic productions. Accounting for a large proportion of industry revenue, international feature production attraction provides mutual benefits to both filmmaker and domestic industry. These projects grow the domestic screen economy and support the continued training and upskilling of New Zealand film technicians. In the past year, the industry has recorded an increase in the level of interest and activity in productions, both internationally and domestically, as well as a lift in industry business confidence. As a result, the New Zealand Film Commission is expecting a three-fold increase in applications for funding compared with the previous year. Eligible formats include feature films, scripted and unscripted drama, documentary, factual, animated and reality productions and Post, Digital and Visual Effects (PDV). Park Road and Stone Street Studios have seen an increase in activity and enquries since the 2014 review of the NZSPG. US Studios The Walt Disney Company, Legendary Entertainment, and DreamWorks Pictures SKG have utilised the stages and post production in Wellington for projects including ‘Pete’s Dragon’, ‘Krampus’, and “Ghost in the Shell’ respectively. The grant is administered by the New Zealand Film Commission. To learn more about the NZSPG and realted incentives, visit www.nzfilm.co.nz.